Data scientist at Port Jackson Partners in Sydney, Australia. My PhD was in computational biology. In my spare time I write about medical research at BioSky.co. I recently helped a friend out with a dataset – she was struggling to merge the CSV files from two dataframes in R into one dataframe. I thought this would be quite simple and yet could not get it to work with merge or dplyr – it just kept giving me weird results. The problem was that I was too trusting of the data that was input by human hand. 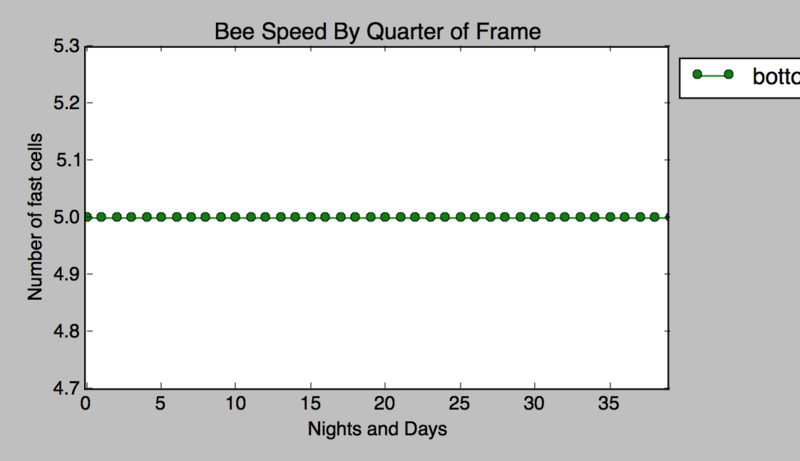 Here’s what happened when I started to critically interrogate the data. The apply function in R applied my function to every row (that’s what the number 1 did, if I’d wanted to apply it to every column I would have used 2 for this argument instead). When I looked at the output from this function, I saw that there were quite a few rows where the TreeID of one CSV file did not match of the TreeIDs in the other file. I emailed all this to the researcher who now knew what was wrong with the dataset and could fix the mistakes that had occurred. With that done, the original merge function she was using worked perfectly. Moral of the story: never trust that the factors in your dataset are correct – capitalisations, duplications and input mistakes can occur really easily and can be quite subtle in large datasets. After a bit of searching I found the solution in a ticket on GitHub, but I thought I’d include it here a) for my own future reference and b) I’ve updated the command to be applicable for Python 3.5. Once you’ve run this then you should should be able to install hmmlearn via pip without any problem. One of the things you realise once you start learning about machine learning is just how important a well-annotated dataset is that you can use for training. Your predictive model will only ever be as good as the labelled data you originally gave it. 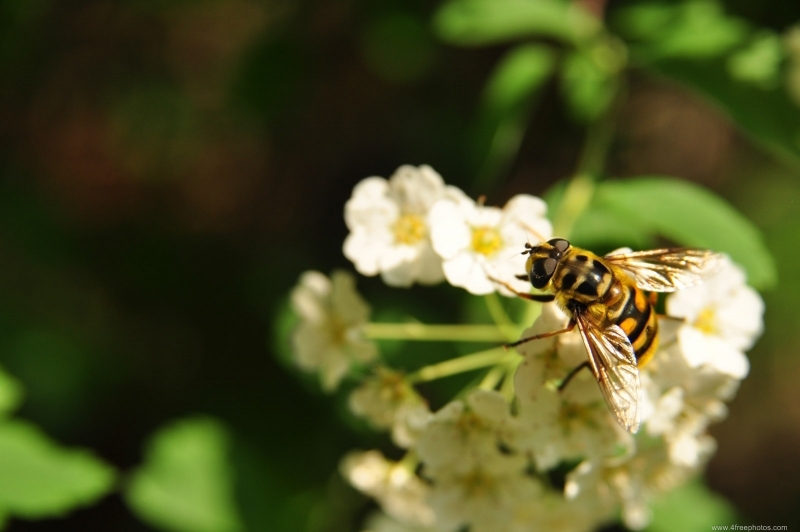 Despite the black and yellow stripes, this insect is not a bee, it is actually a hover fly. I quickly found that images of these flies are misclassified all over the internet as bees – I only realised apparently because I’m one of the few bee researchers who was interested in machine learning. I think that this misclassification is polluting a lot of the images labelled as containing bees in the major datasets that people use for training. I would urge any computer scientist who was interested in any project involving insect identification to be extremely careful and collaborate closely with entomologists before selecting images from a dataset to use for training. This also raises the question: how do you test the accuracy of your model if you don’t know if the original labels have any basis in reality? I wonder how many other major categories in these datasets are mistakenly labelled because the people putting the data together don’t have the domain knowledge to make these kinds of subtle distinctions? 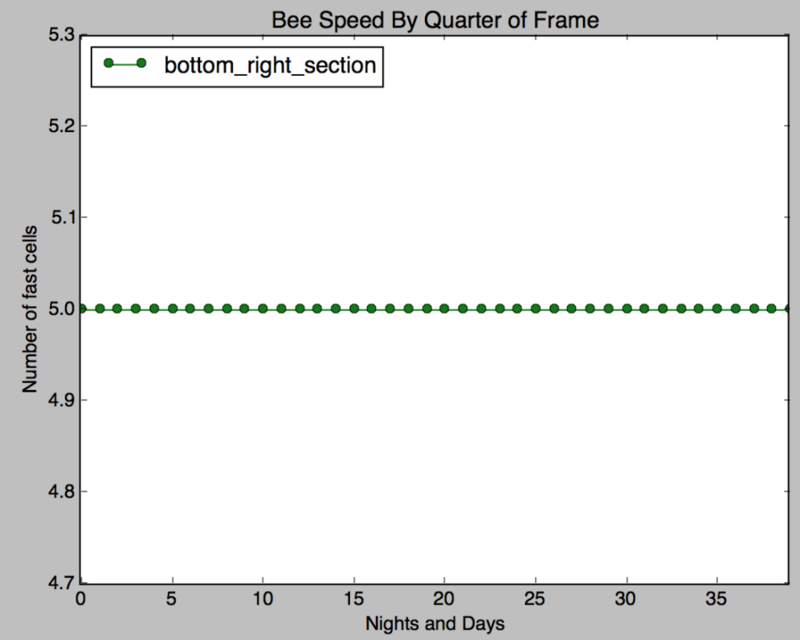 As part of my PhD project, I have been writing a program in C++ to track hundreds of bees that I have tagged and to identify the pattern on the tags. Initially, I had thought that recognising the tags would be rather simplistic – I could threshold out the tags that are reflective under IR light, and then measure the shape of the object within the tag. Unfortunately, the tags lost their reflectiveness after a short period of time and become smeared (amongst other issues), and thus I had to turn to machine learning to try to find a solution to my recognition problem. Want to understand Python’s comprehensions? Think in Excel or SQL. Done. You should now be able to use both matrices. Recently I used the program FFmpeg to automatically extract metadata about the time and date some videos I’ve been using for my research were created. FFmpeg is a really useful tool for manipulating videos and images at the command-line. You can do things like change the format, quality or length of your video files with relative ease. The image processing library OpenCV even uses FFmpeg under the hood for opening videos you want to process. You can also use FFmpeg to extract metadata about your video files, and that is what I was using it for. However, I soon discovered that the metadata I retrieved with the program wasn’t completely accurate. Video file creation times were off by a couple of hours. 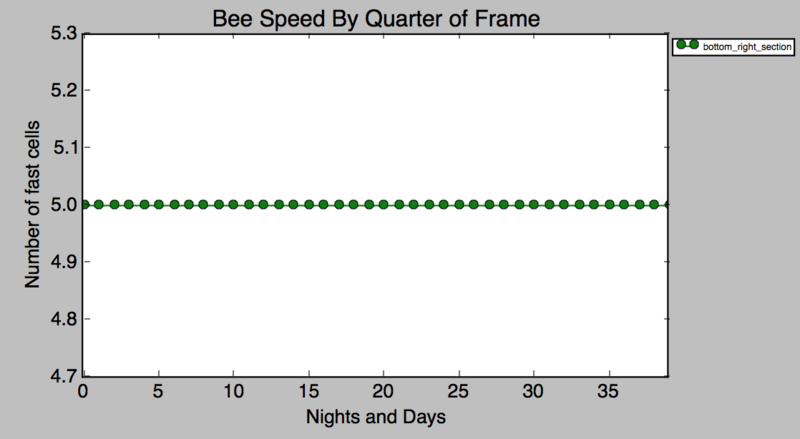 Normally that doesn’t matter much, however if you’re breaking your data down hour-by-hour over a 2 week period, having these kinds of discrepancies really throws your analysis out. It was a great reminder to always thoroughly check the output of your analysis pipelines and to never assume that a tool will work perfectly all the time. I’ve been using OpenCV over the past couple of years for all my image processing work. It’s a really extensive and useful library, and just recently, OpenCV 3.0 was released, which included bindings for Python 3! Finally one of my last reasons to continue using Python 2 has disappeared. However, there is another image processing library that I just found out about – scikit-image. 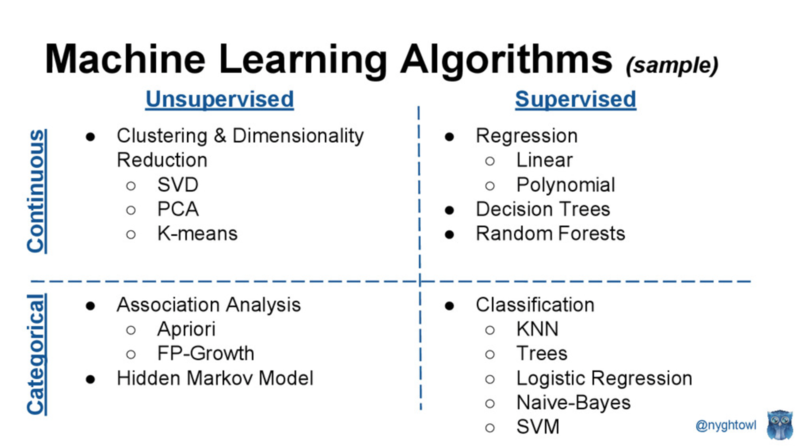 Yes, that’s the same scikit as the one from scikit-learn, the awesome machine learning library for Python that I’d linked to previously in my machine learning resources post. While I plan to continue using OpenCV, I had a read through some of the scikit-image tutorials with interest, and if you’re looking for a light-weight library for image processing that plays well with SciPy, I’d definitely check it out. If you’re interested in learning more about image processing with OpenCV, I’m preparing a presentation for the Canberra Python Users Group using the iPython Notebook which provides an introduction to using this library. I’ll upload the notebook to GitHub and write a post linking to it in a few weeks. Recently, I watched Melanie Warrick’s great talk on getting started with machine learning at PyCon 2014. I linked to it in my post on materials to learn machine learning, however I wanted to write another post with pictures of some slides I took from her presentation which I found incredibly helpful. 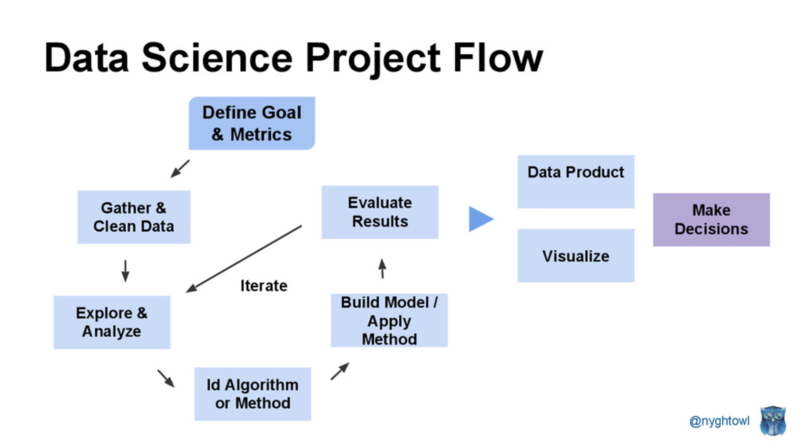 I strongly recommend watching the video and then using these slides when trying to figure out what you should do when working on a machine learning problem. I’m going to Silicon Valley!